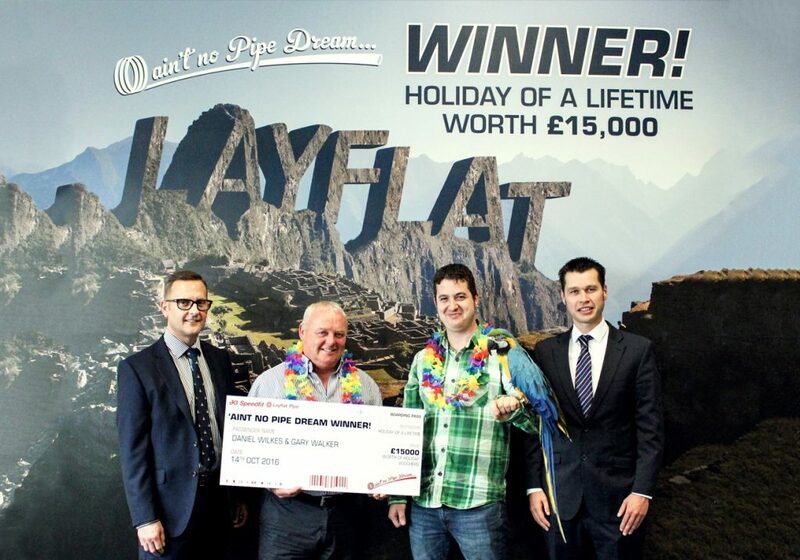 Spanning over a period of 26 weeks JG Speedfit’s ‘aint no Pipe Dream’ competition came to an end on the 26th September when Daniel Wilkes a plumber from Yorkshire was announced as the lucky winner to receive £15,000 worth of holiday vouchers. You still have a chance to win £5,000 worth of UFH equipment with JG Speedfit’s latest promotion, where the ‘Speedfit Support’ team is inviting its customers to submit the floor plans of their UFH project and the team will provide free CAD drawings & project estimate exclusively produced by expert designers. By submitting the floor plans customers will be entered into a draw and one lucky entrant will win £5,000 worth of UFH equipment to accomplish their projects. If you want to try your luck as Daniel did you still have time, the competition ends 16th December. For more details please visit www.speedfit-giveaway.co.uk.